With the spring weather greening up the grass and Father’s Day just around the corner, we thought we’d highlight several of our favorite rare, first edition books all about golf. The name Jack Nicklaus is synonymous with golf and it’s no surprise that he has written a variety of books about the game. My 55 Ways to Lower Your Golf Score is an instructional book that teaches readers the basics of improving their golf game, from tips on improving their swings to critical tips on playing the course. 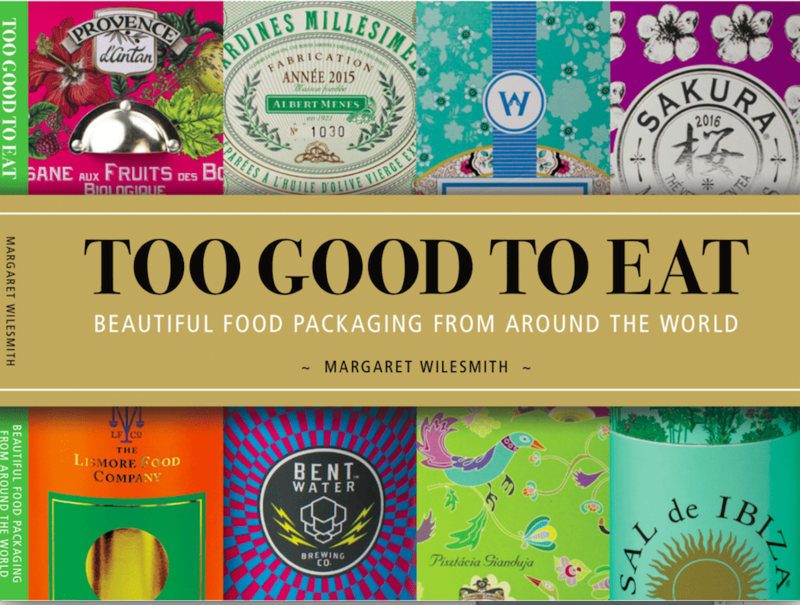 We have several signed, first edition copies of this classic book. In Take a Tip from Me, Nicklaus gives clear advice on various golf swings and explains his technique and philosophy of that swing. We also have a signed, first edition of Nicklaus’ Play Better Golf: An Illustrated Guide to Lower Scores. If you’re looking for books memorializing Nicklaus’ playing, try My Most Memorable Shots in the Majors or On & Off the Fairway: A Pictorial Autobiography. 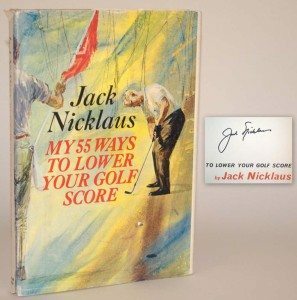 To view all of our rare, first edition books by Jack Nicklaus, click here. A History of Golf in Britain is a collection of essays from several English writers who were trying to create a definitive history of the game of golf in Great Britain. Bernard Darwin, a famous English Writer and grandson of Charles Darwin, was the general editor of the project and also contributed several essays to the book. 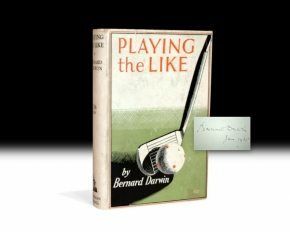 One of the most popular books for the golf enthusiast, we have a rare, first edition that is signed by Bernard Darwin on the front free endpaper. Bernard Darwin, one of the contributers to A History of Golf in Britain, was one of the best English golf writers and published several other books about the sport. Playing the Like is a book of stories, reflections and anecdotes on golf. A must-have for any golf lover, we have a first edition that is signed by the author on the front free endpaper. Our copy of Playing the Like is in excellent condition. We have several other books about golf that are worthy to note. 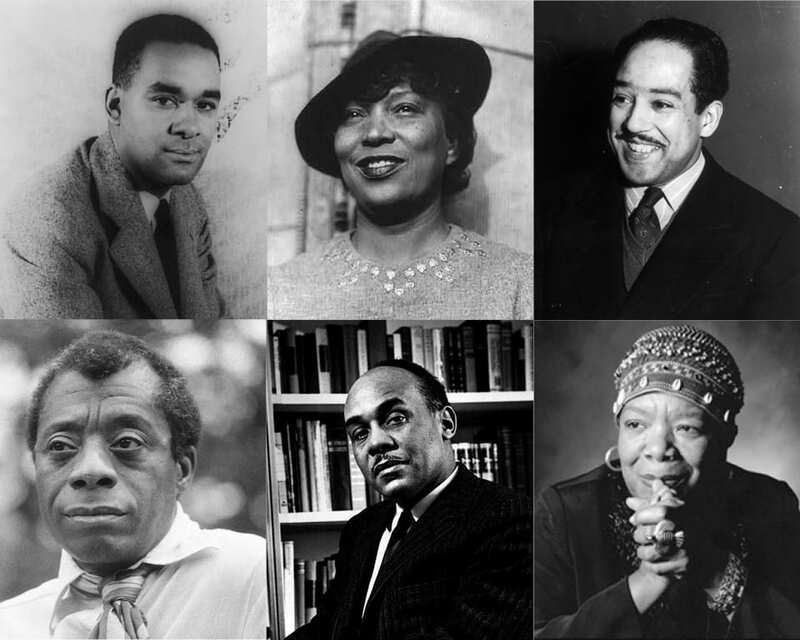 Golf Is My Game, a book by record-breaking golf player Bobby Jones, is a favorite. 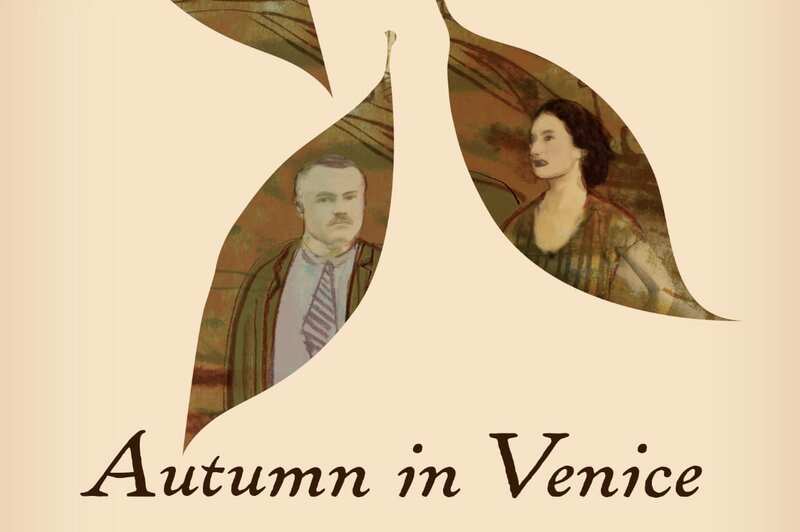 We have a first edition copy of this book that is inscribed the author. Winning Golf by Byron Nelson is an insight into the legendary player’s career and talents in the game of golf. We have a first edition that is inscribed by Byron Nelson on the front endpage. 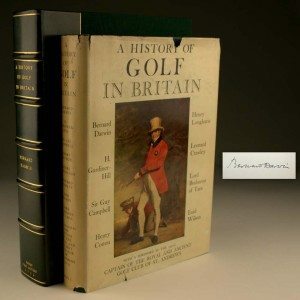 Whether you are a golf enthusiast or have a loved one who enjoys playing the game, a first edition of any of these historic books is sure to be treasured and kept forever. To view all of our books about golf, click here. 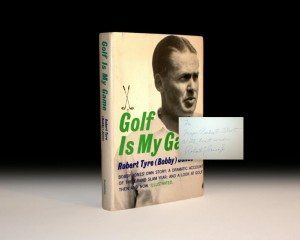 Bobby Jones’ Golf Is My Game Rare, signed first edition.